As part of Council Member Karla Cisneros’ Love Your Pet initiative in recognition of World Spay Awareness Month, Council Member Cisneros held a Love Your Pet Rescue Selfie Contest to support the Houston BARC Foundation and the Friends of CountyPets’ spay/neuter efforts at BARC and Harris County Animal Shelter. 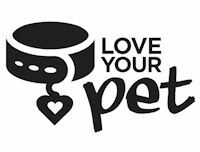 74 selfies of pet owners and their spayed/neutered rescue pets were submitted and ten winning entries were selected and announced at a press conference held on February 28, 2019. Each winning photo is currently featured on billboards as part of a spay/neuter awareness campaign throughout Houston and Harris County.